The flea typically encountered in homes are cat fleas (Ctenocephalides felis). These pests are intermediate hosts of tapeworms, which can infect humans when accidentally ingested. In humans, a flea bite is itchy, and may result in swelling when the person is allergic to flea bites. Furthermore, flea anemia can be a concern for host pets and may be fatal to very young pets. If you are experiencing a problem with fleas, indoors or out, contact The Bug Dude for professional pest control in Fort Worth. We can take care of your pest problems. Fleas are small, wingless insects approximately 1/8 inch long when mature. Flea larvae are less than 1/4 inch long, and are more likely to be found in pet bedding. Fleas are brownish-black and have backward-pointing bristles that make them more difficult to remove by grooming. Adult cat fleas are about 1/8 inch long. The hind legs of the flea are long and well adapted for high, long jumping. They are capable of jumping to heights of up to 8 inches and at distances of 19 inches. The cat flea feeds on the blood of cats, dogs, wildlife and though less common, people. A flea may feed on a blood meal as often as 15 times in a day. Fortunately, other types of fleas, such as the dog flea, human flea and rat flea are less common. The Bug Dude can take care of your flea problem with professional pest control in Fort Worth. The life cycle of the flea goes through four stages-egg, larva, pupa and adult. Adult fleas will jump onto a passing host rather than travel long distances by jumping. Without a host, adult fleas will only live from a few days to two weeks. The female flea lays eggs within two days of her first blood meal. Within four to nine days later she is producing approximately 27 eggs per day. She consumes 15 times her body weight each day in blood, with the majority excreted partially digested in feces. Flea feces is a fine, reddish-black dust seen in pet fur and bedding. The flea larvae feed on adult flea feces, and without it, they can’t survive. However, they also may feed on organic matter such as food particles, dead skin or feathers. Larvae develop in five to 11 days. The pupa is the stage between the larva and adult. The pupa forms inside a cocoon, and in one to two weeks the pupa emerge as an adult. The adult flea can remain in the cocoon for up to five months, and is capable of emerging within seconds when a host passes by. Prompt treatment with pest control in Fort Worth when fleas are detected can prevent a heavy flea infestation. Fleas survival is poorer in hot, sunny lawns, in relative humidity less than 50 percent, or when the soil temperature is above 95°F which kills flea larvae. Outdoors, fleas are most likely to be found in moist, shady areas near pet resting areas. Professional pest control in Fort Worth can identify potential flea breeding grounds and treat the area, ridding your lawn of fleas. Indoors, flea larvae are most likely to be found under furniture and in pet bedding. Cat fleas don’t carry plague. However, fleas that feed on rodents can transmit diseases, including plague and Murine typhus. Avoiding close contact with wild rodents such as squirrels, rats and prairie dogs. The difficulty in home treatment of fleas is that not all retail products address all stages of the life cycle. Treatment is most successful when rendered by professional pest control in Fort Worth. People with flea problems often want to know how to prevent a flea infestation. A flea control program includes good sanitation and treatment of the pet and its environment. Changing pet bedding routinely and thorough vacuuming will assist in controlling fleas. Vacuuming removes up to 30% of flea larvae and as much as 60% of the flea eggs from carpet. In addition, it removes the dried blood the larvae require to survive. Vacuum under furniture, cushions, chairs, beds and along walls as well as the carpet. Vacuum canisters should be emptied into a sealed bag and disposed of in the outdoor trash. Vacuum bags should be discarded. Contact The Bug Dude for flea treatment, with professional pest control in Fort Worth. A pet’s defense against fleas is a flea comb and a good bath, and flea treatment with an effective product. The pet’s bedding and living areas should be treated at the same time the pet is treated. This kills immature and newly emerging fleas and prevents re-infestation of the pet. 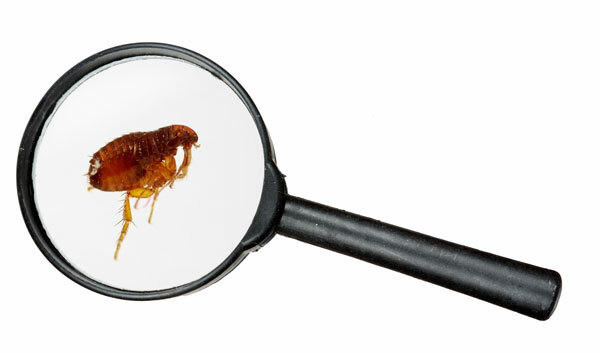 If a flea infestation is taking over your home, contact our reliable professionals for pest control in Fort Worth. Occasionally, commercial buildings and homes’ can become infested with fleas without any pets being present. Other animals such as roof rats, squirrels, raccoon’s, opossums and cats commonly nest in structures and can be the source of a flea infestation. The openings through which wildlife may enter the home/building should be sealed after removal of the animals, and professional pest control in Fort Worth should be provided. identify your pest problem and provide effective treatment. We serve Fort Worth and the surrounding areas.